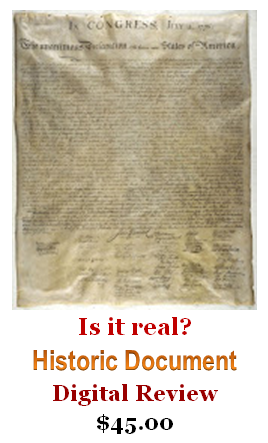 Estoric has been acquiring, authenticating, appraising, and conserving autographs, historic manuscripts, documents, letters, newspapers, and broadsides since 1998. 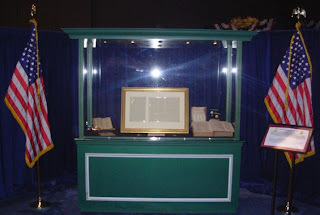 Determining the value, authenticity and provenance (VAP) of ephemera, our specialty, is the foundation of any great exhibit or collectible portfolio. Estoric's primary client services ensure the highest VAP standards through pre-acquisition research, value determination, physical inspection, purchasing, astute negotiating along with the coordination of the best authenticators and conservators for your portfolio. Estoric is also a seller of ephemera, specializing in the Revolutionary War and Presidential documents, but carries a large inventory of historical manuscripts, with some entertainment and sports. 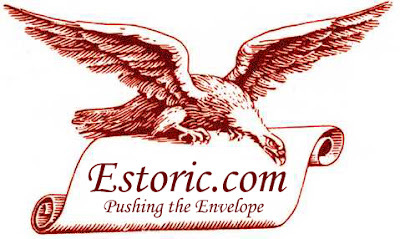 Estoric is actively buying quality manuscripts, letters and documents.